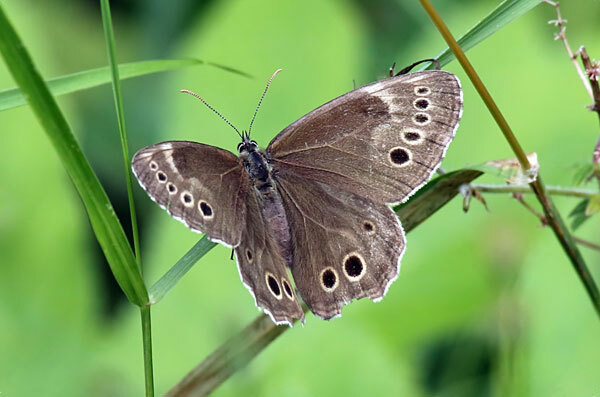 The Woodland Brown has sooty brown wings with large black spots on both surfaces, each surrounded by a yellow ring. The underwing spots are white-pupilled. The sexes are similar. It is widespread but sporadic and local in central and eastern Europe. It is largely absent from maritime regions. Typical habitats are small clearings in deciduous woodland, edges of woods, forest meadows, edges of marshes and peat bogs up to 1500m. There is one brood per year, from early June to late July. The larva is the over-wintering stage. Larvae feed on many grasses and sedges. This species has a reputation for being wary and difficult to approach. It is evaluated as Vulnerable. 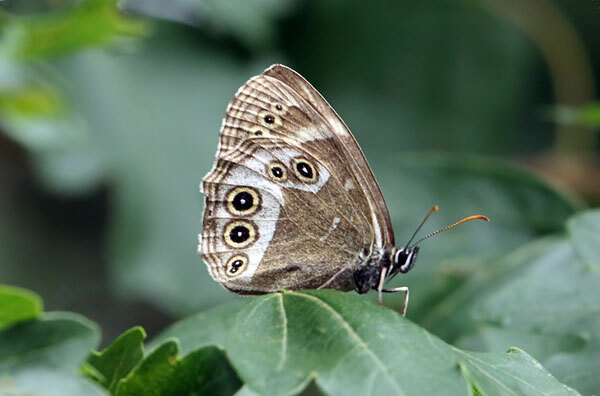 Changes in woodland or woodland management are the main threats all over Europe.